As the organisers of CES 2018 reminded us today, when you rely on gadgets, it’s a good idea to plan ahead to ensure you’ve always got power. 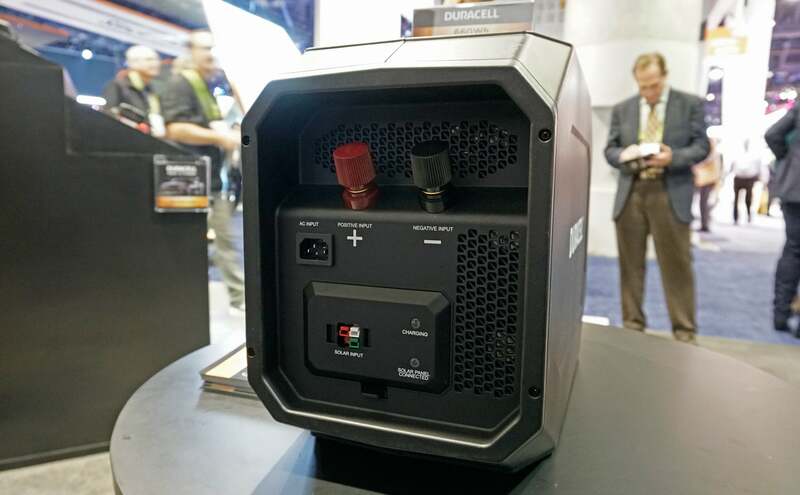 There’s no shortage of portable batteries being shown off on the CES show floor, but none of them compare to this monstrosity that Duracell’s created. Four outlets ensure that you never have to go camping and brave the outdoors without a blender. Boasting 660Wh of power, this beast is designed to keep basic appliances in your home running in the event of a power outage. 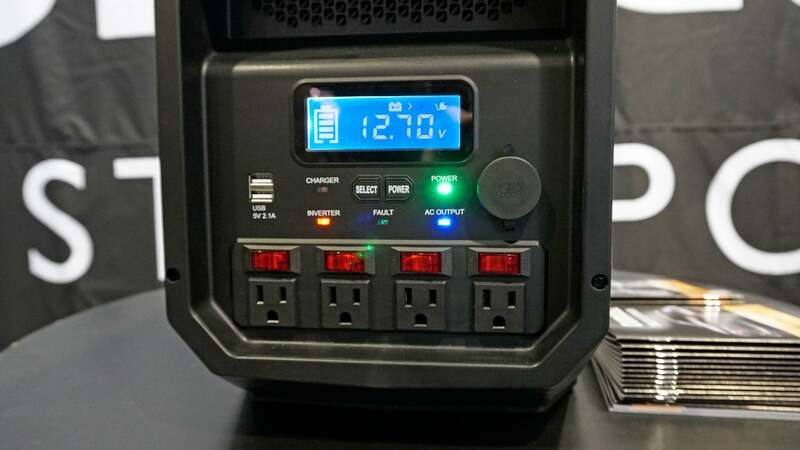 You’re not going to keep the kitchen fridge powered for days, but in reality you’re probably going to spend $500 (£370) to drag it along on camping trips to keep your phones and tablets powered while out in the wilderness. Assuming it’s spitting out the same 5-volts as the charger Apple includes, you should be able recharge your iPhone X—from a dead battery—over 48 times using this monster. You can either plug in using the USB ports on the front, or one of the four standard AC outlets which are each protected with individual circuit breakers. Don’t have access to AC for a recharge? You can also connect a car battery to the power source as yet another level of backup power. When plugged into an AC outlet it takes about ten hours to fully charge the power source, but because it has an old-school (and incredibly heavy) lead acid battery inside, you’ll want to make sure you don’t let it completely die, which will severely affect its ability to hold a charge. To help ensure that doesn’t happen, Duracell has included a couple of other ways to keep this battery charged. A port for attaching solar panels is included, but there’s also a pair of connectors that look exactly like the ones you’ll find under the bonnet of your car. If you find yourself in a power outage without access to AC, you can hook up a car battery, or multiple car batteries, to keep the juice flowing. If you’re already prepping for an inevitable apocalypse, or run the largest tech trade show in the world, you’ll want to add a couple of these to your shopping list.